Marketing managers are addicted to clicks, but this addiction only serves the needs of the online advertising giants who got where they are now by making their shareholders rich – not by creating the best-targeted ads. 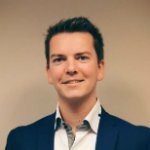 So thinks Bisnode’s Miquel Matthys, the company’s group product manager of digital advertising, who will use his time on the #DMWF stage next month to argue for a change in attitudes when it comes to benchmarking online advertising success. But what are the alternatives? We caught Matthys’ thoughts ahead of the conference and expo for a taste of what to expect. Miquel Matthys: It’s nice to be part of this amazing conference, and I very much look forward to it, both as a speaker and an attendee. I’ve been working with data, and more specifically data within the field of marketing, my whole professional career. After my studies at Ghent University, I did an internship at Proximus to investigate how a telco could utilise its big data (which at that time was still a cool phrase to use) to find additional revenue streams. It was during that time that I joined my current employer, Bisnode Belgium. I started out as Project Manager Innovation and moved my way up to become the manager of our innovation department. One of the biggest innovations we realised at that time was Addressable TV together with SBS and Telenet. With Addressable TV you can watch the same show on live television as your neighbour, but you will see different ads based on your profile and preferences, delivering a truly unique experience for each consumer. We have been pushing the concept of omnichannel people-based marketing ever since, and this is still my main challenge today as Group Product Manager Digital Advertising at Bisnode Group. Your session is part of the Data, Disruptive Tech & UX track on the agenda, and it seems to acknowledge that digital marketing nowadays is very much driven by action-based metrics, such as clicks. Is that widely the case? MM: It most definitely is. All digital channels use clicks as one of the key components to measure campaign success. This isn’t a bad thing to do. However, it shouldn’t be the only thing you are doing. Unfortunately, a lot of the most-used digital channels do not offer any other way to monitor campaign success. Hence, clicks became the industry standard for measuring success – not because they are the best way to measure success, but rather because we are lacking good alternatives. But I suppose clicks are a simple thing to measure and reward on a performance-based model, right? MM: Of course, they are a very convenient way of measuring success. This metric is widely available within each digital channel; Facebook, YouTube, programmatic and direct display/video, etc. All of these channels give you the number of impressions delivered, and the number of clicks generated. ‘Conveniently’, you have the option (or rather an obligation) of paying only when your campaign generates clicks, reassuring you that your marketing money is well spent and will deliver real results. But, last time I checked, clicks don’t make your shareholders rich – except of course, if you are in the ad-selling business. Makes you think, doesn’t it? But we can discuss this in more detail during my session! So how could marketers start to move away from this reliance on click-based ‘success’ – what other aspects can they consider in order to identify real success? MM: Well, in an ideal world, or rather, the marketer’s dream world, several conditions are met. You know as a marketer who you want to target and which message you should use. You know which media mix will be most effective and you are able to deliver your message only to specific recipients, avoiding any waste. You can see who has seen your message, who engaged with it, and finally, who converted. In that dream world, you can truly say you can identify success. Saying that it is possible to check off all those boxes today using scalable solutions would be a lie. However, checking off just a couple of them is definitely possible and will already bring each and every one of us closer to identifying real success. How you can do this today, I will explain during my session. We would expect this concept yo come up a few times over the two days in Amsterdam. Are there any other topics or trends you expect to come up on the stage and in your conversations more than a few times at #DMWF? MM: Looking at the different topics, it seems the ‘digital-only’ trend is dead, hooray! Next, I assume we will hear a lot about tailoring your marketing mix to fit your customer need, and not to fit your agencies’ margins. Additionally, I believe we will hear a lot about people-based marketing. It isn’t a new concept, but the industry has been bad at adopting it, especially cross-channel. The glue between all of those topics will most likely be AI [artificial intelligence] and rightfully so! Finally, what are yourself and the Bisnode team looking forward to most at #DMWF? This means that we as a company need to be at the forefront of almost all domains that are tackled during the conference. That’s why we come with a whole team instead of picking our favourite topics! 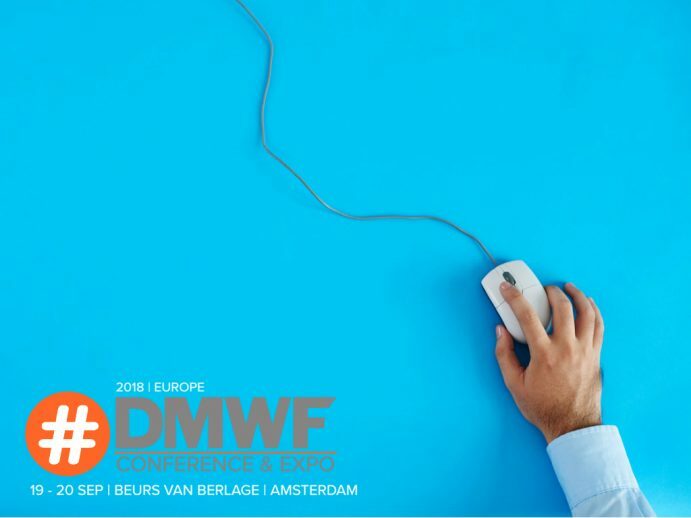 Stay tuned for more speaker Q&As in the run-up to #DMWF Europe and find out more about the conference and expo here.